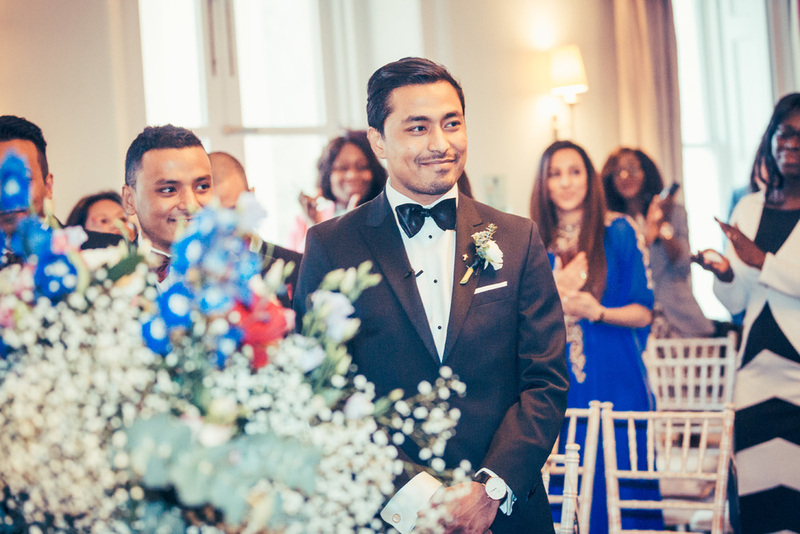 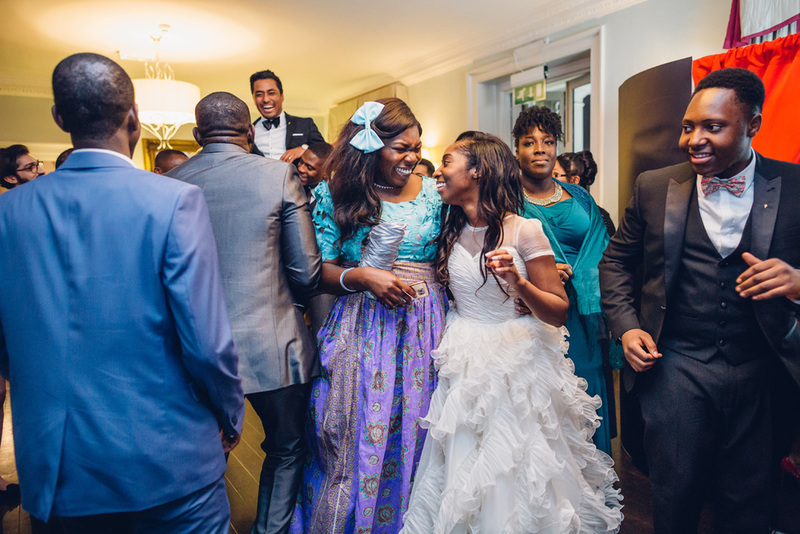 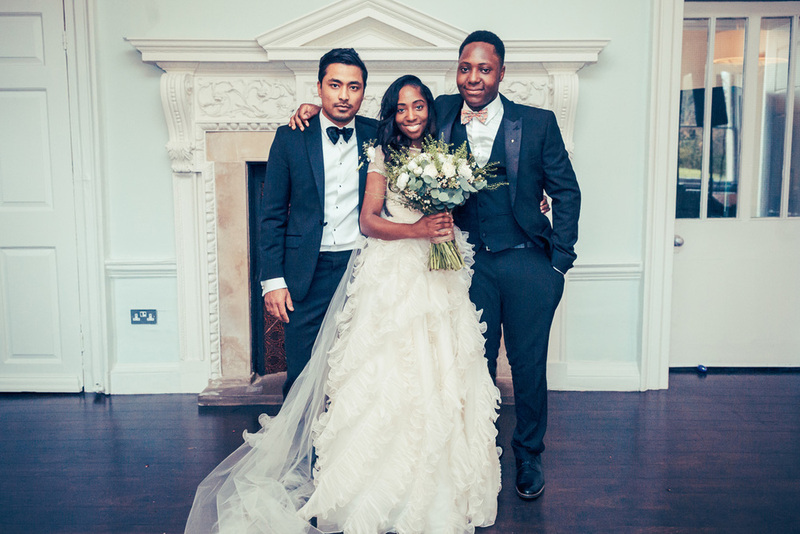 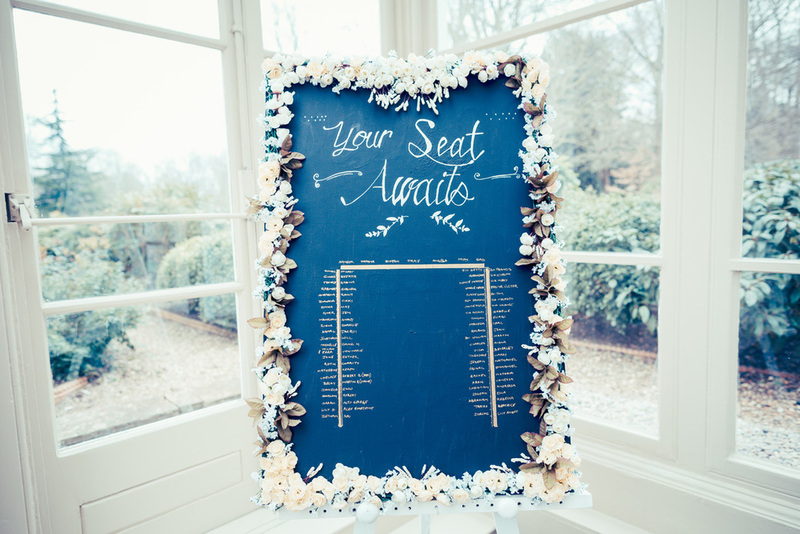 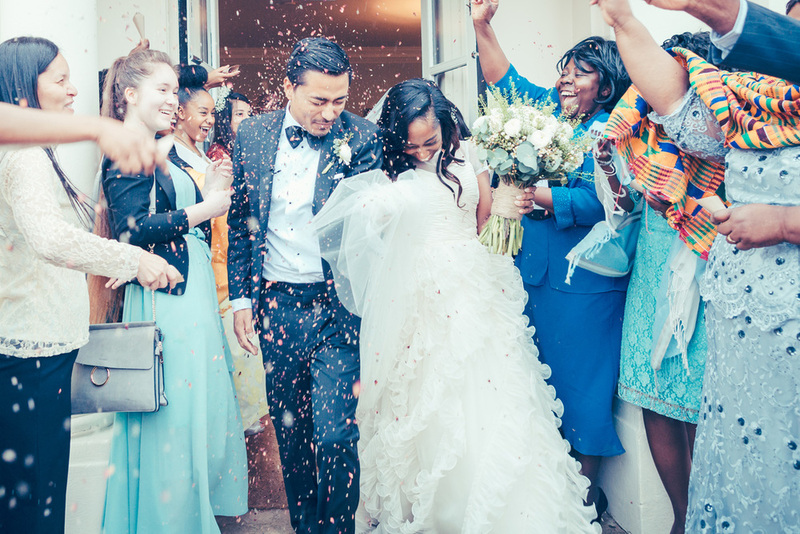 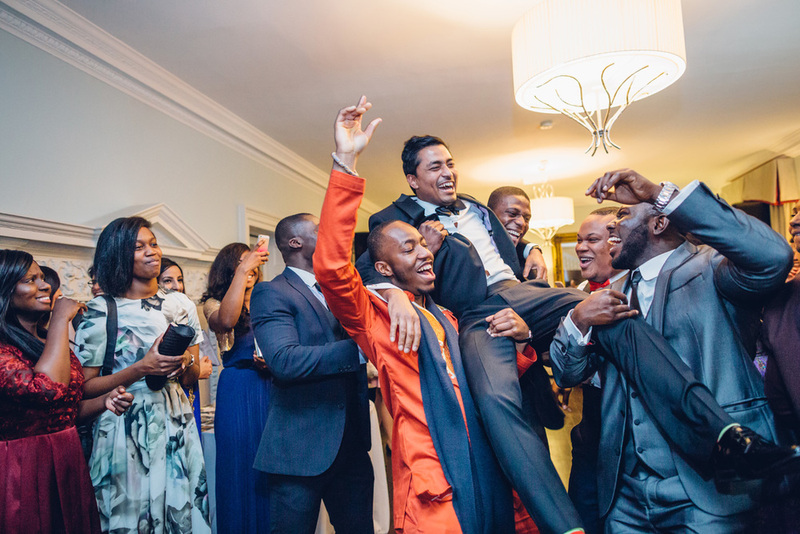 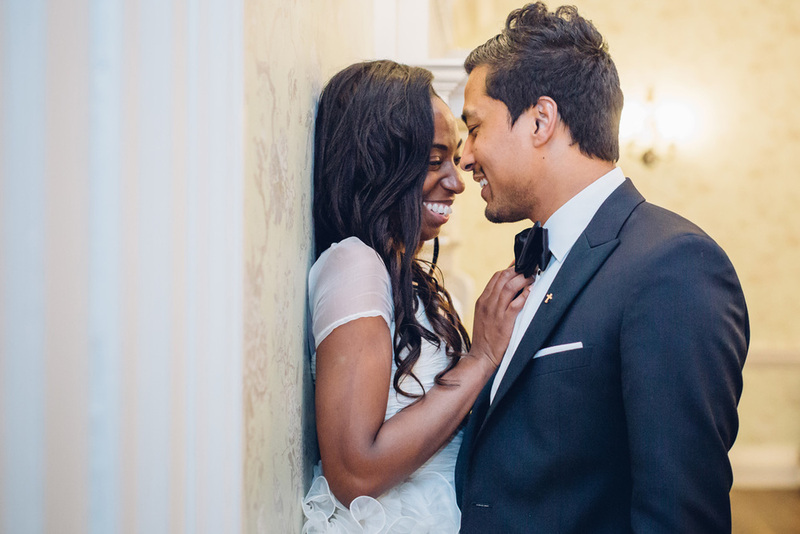 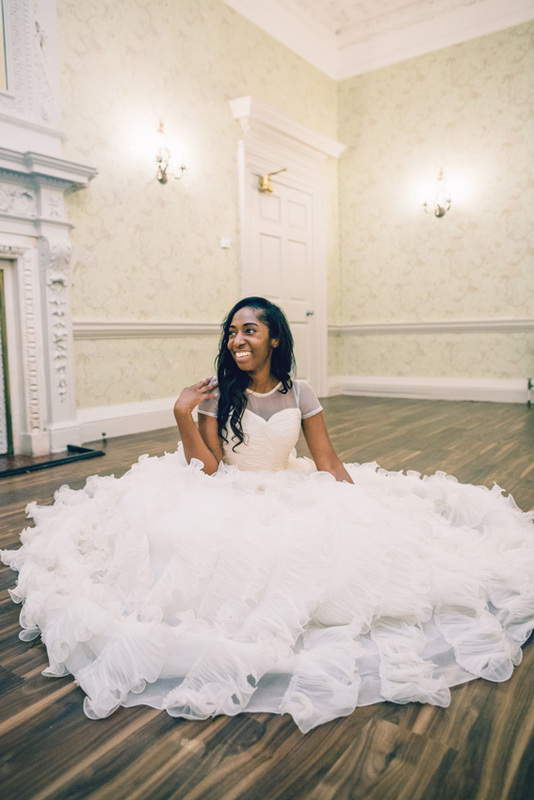 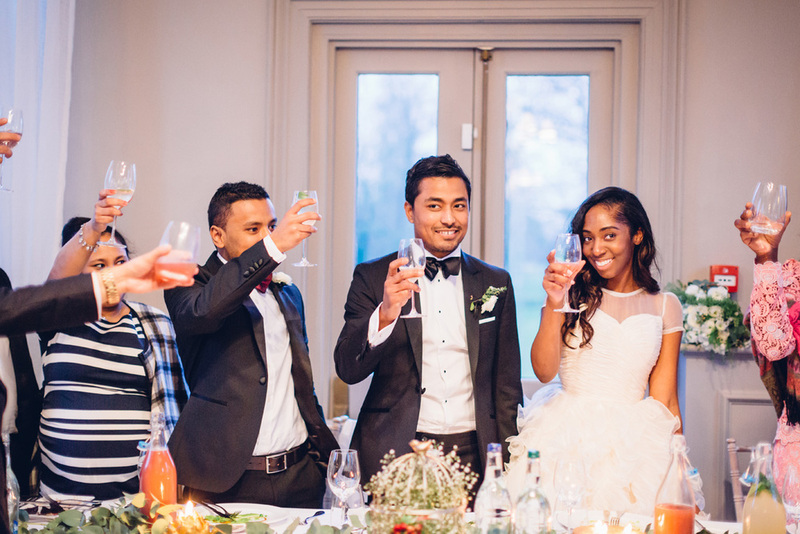 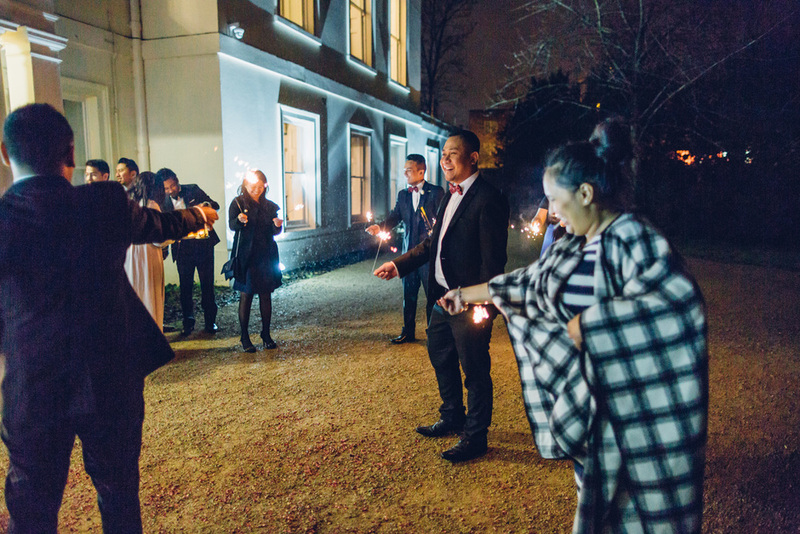 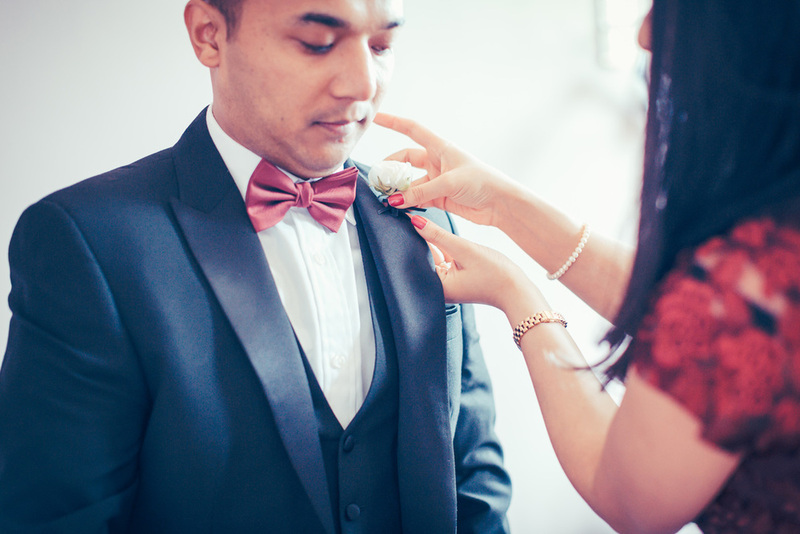 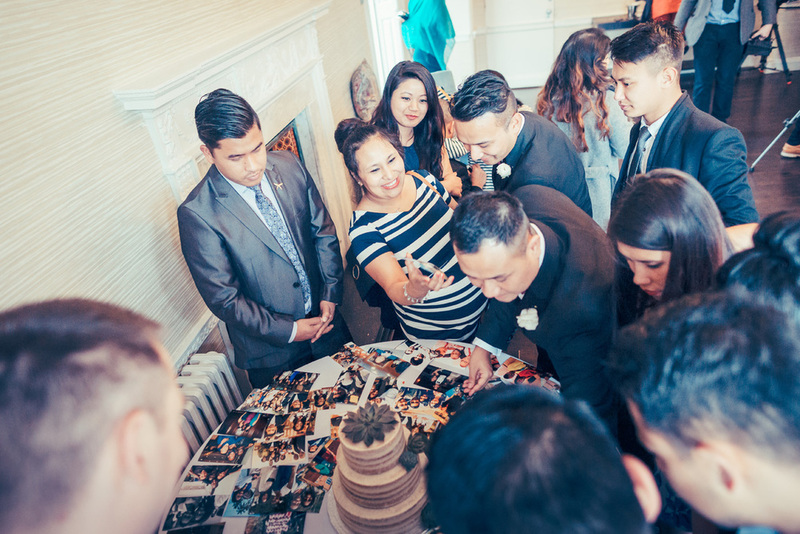 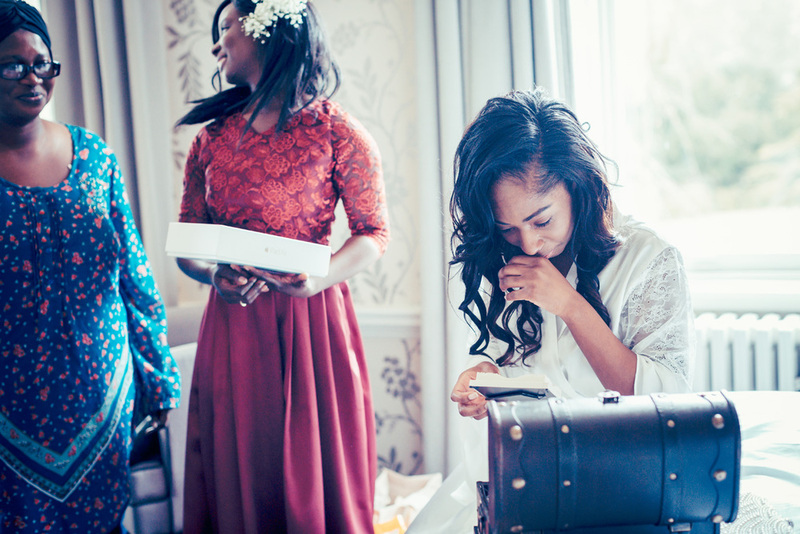 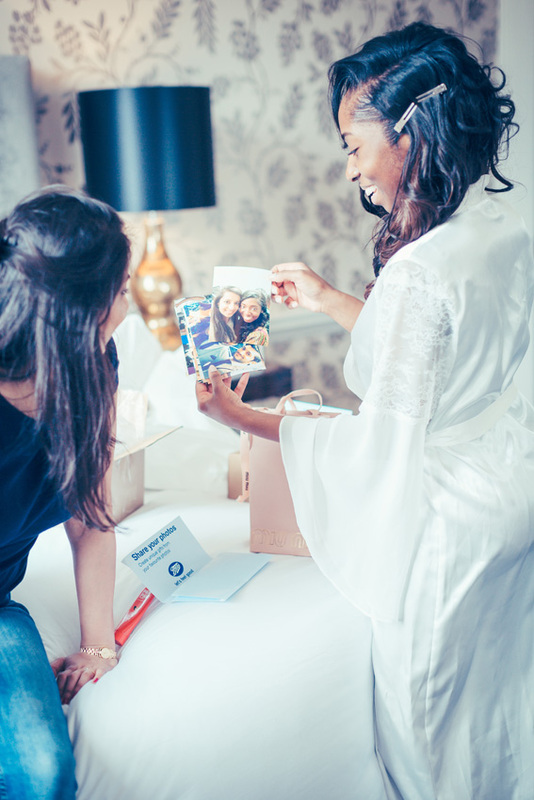 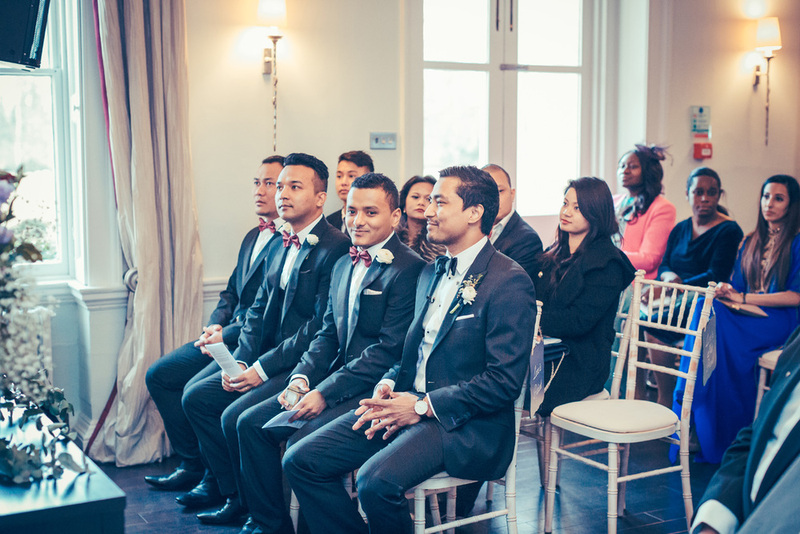 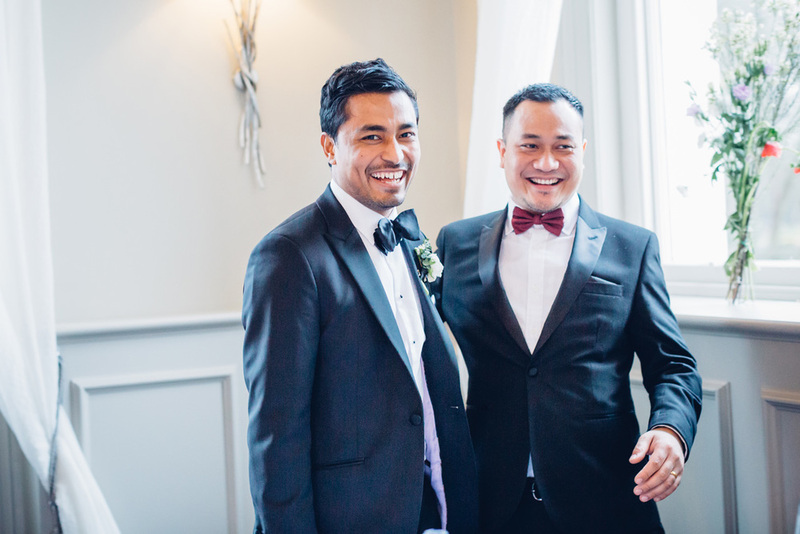 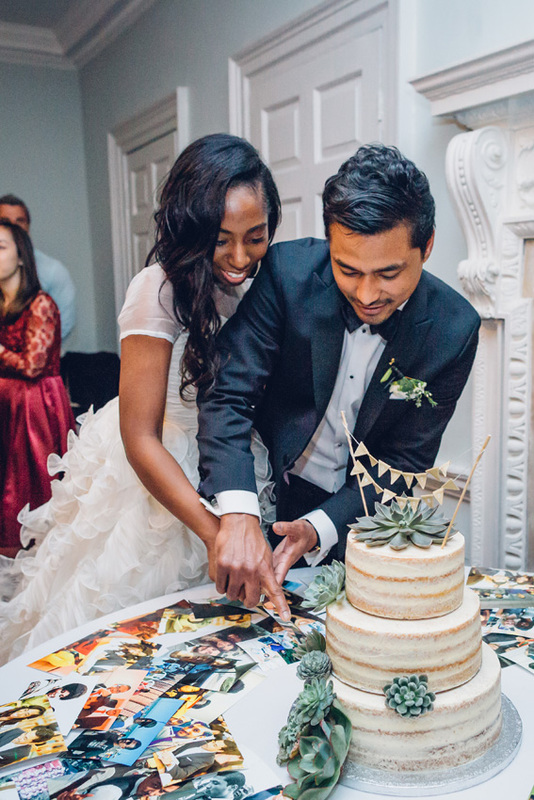 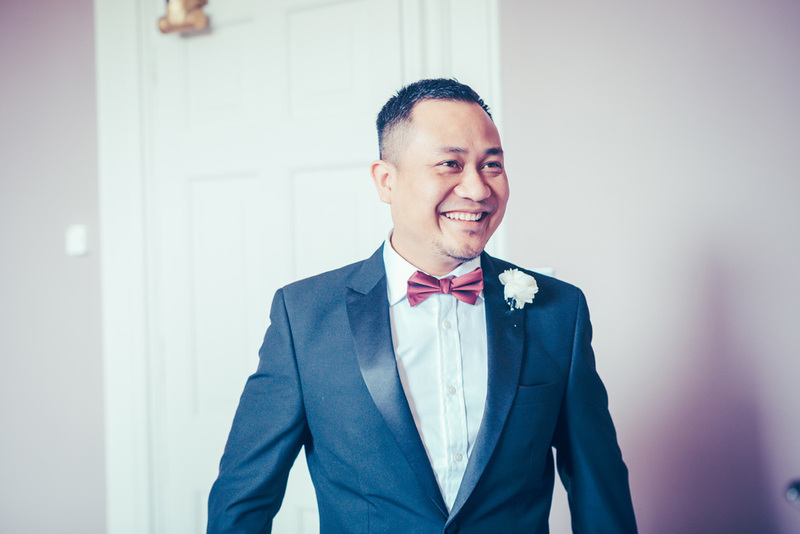 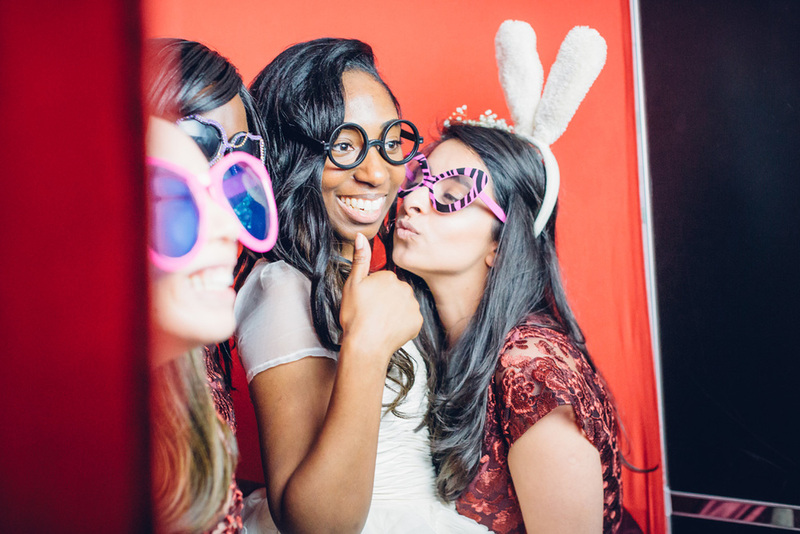 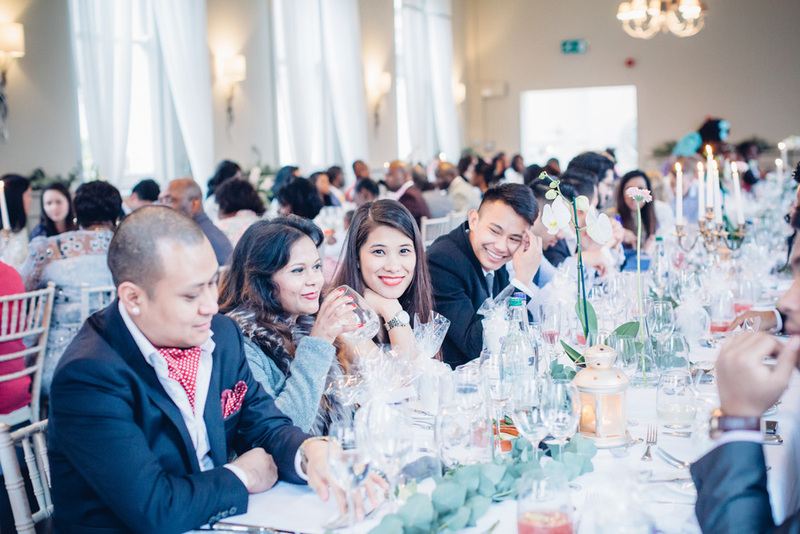 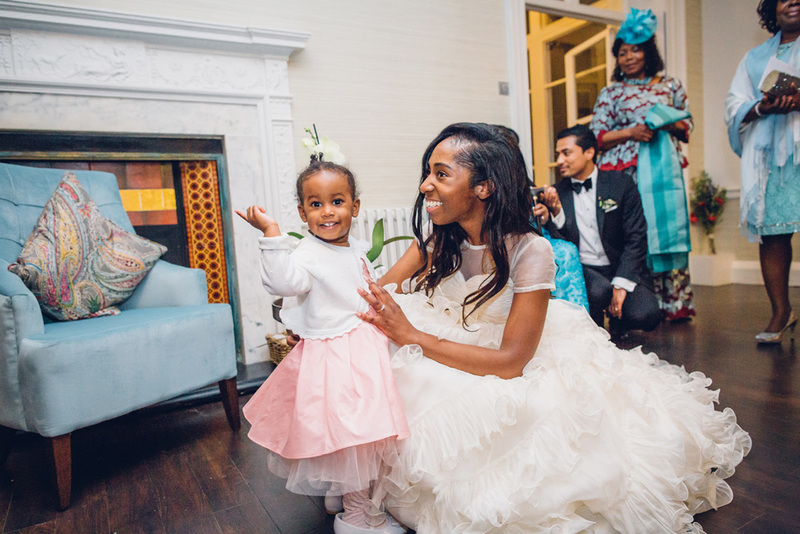 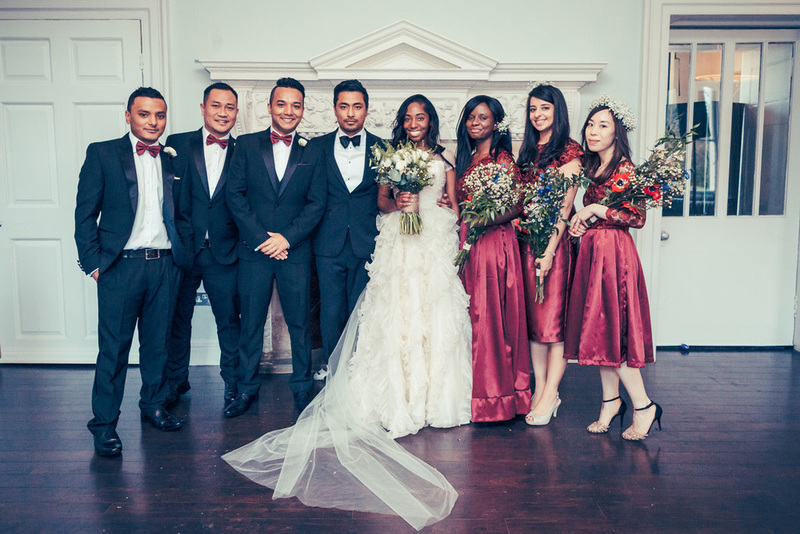 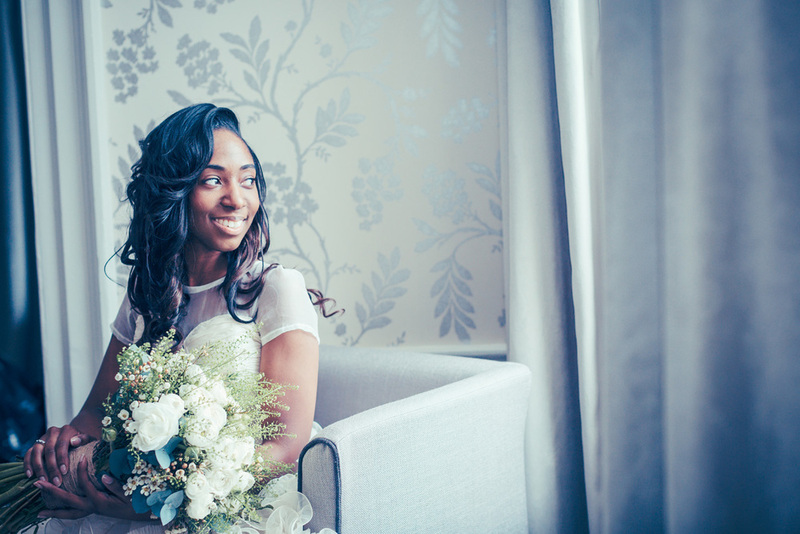 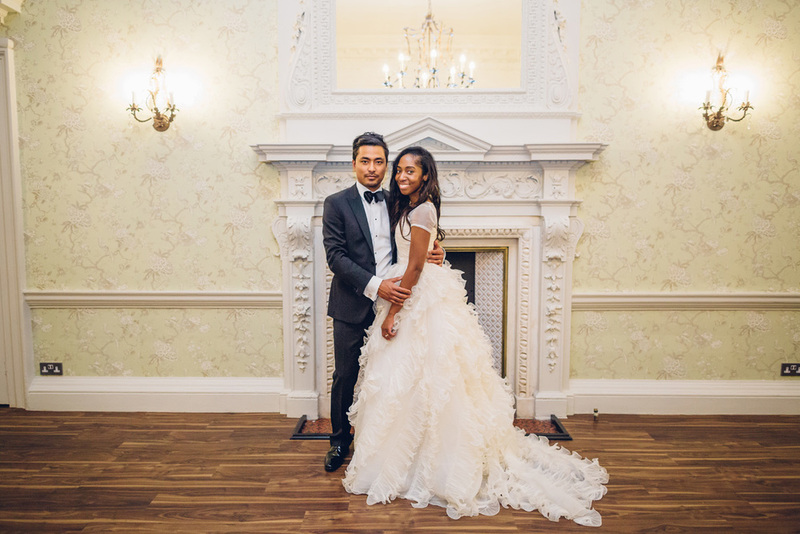 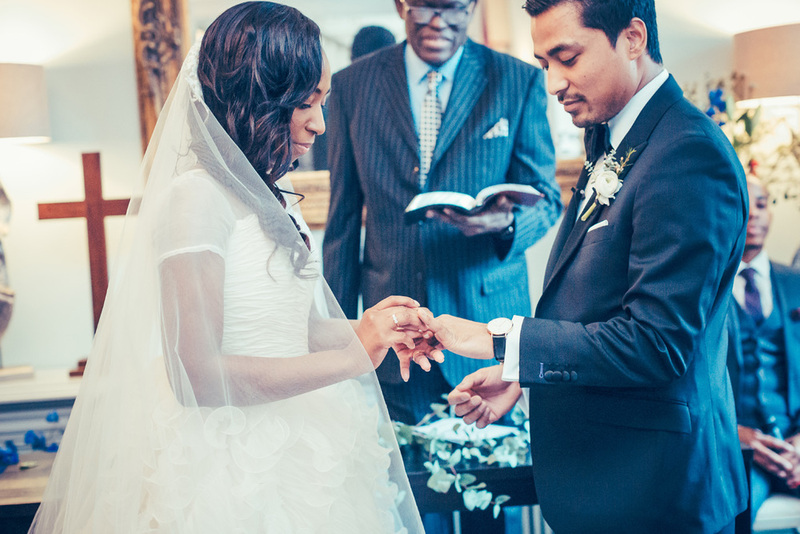 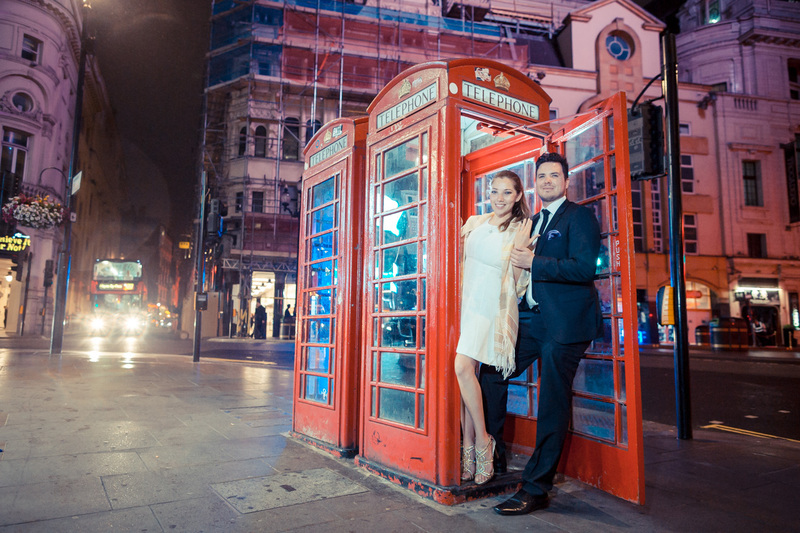 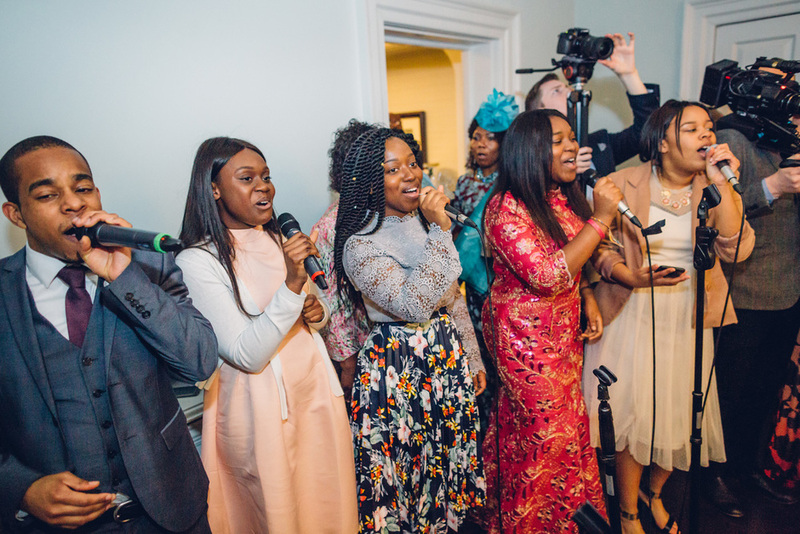 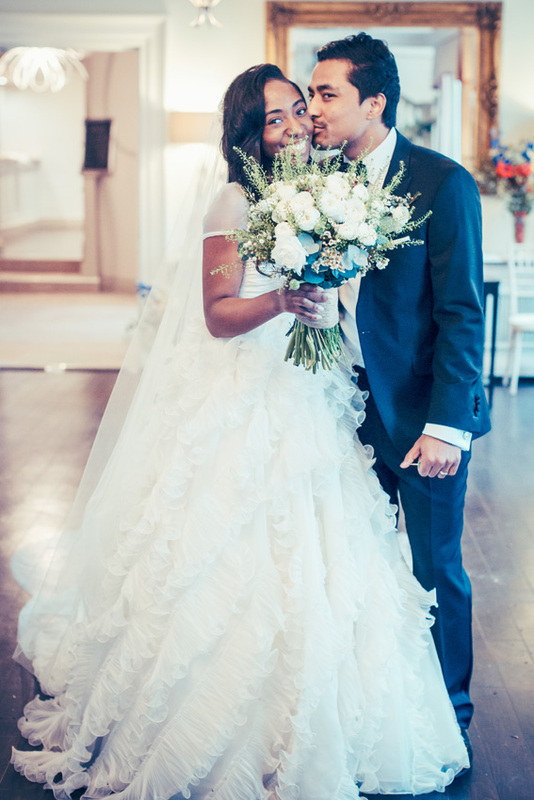 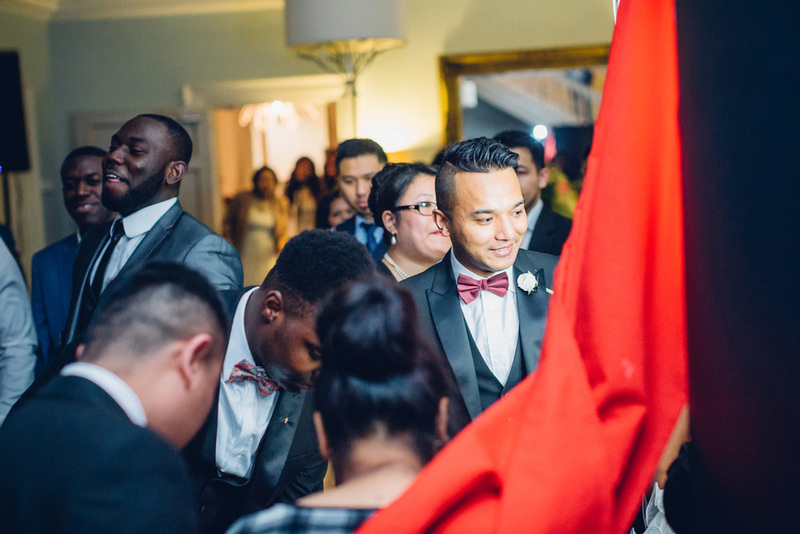 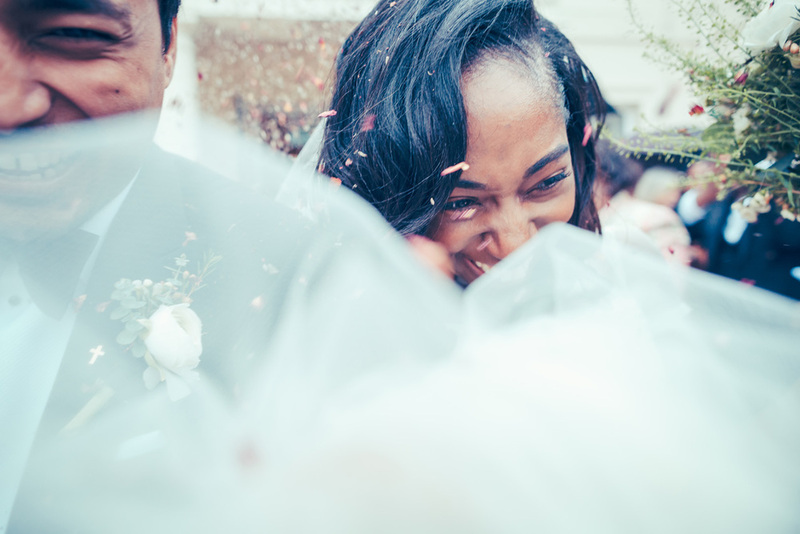 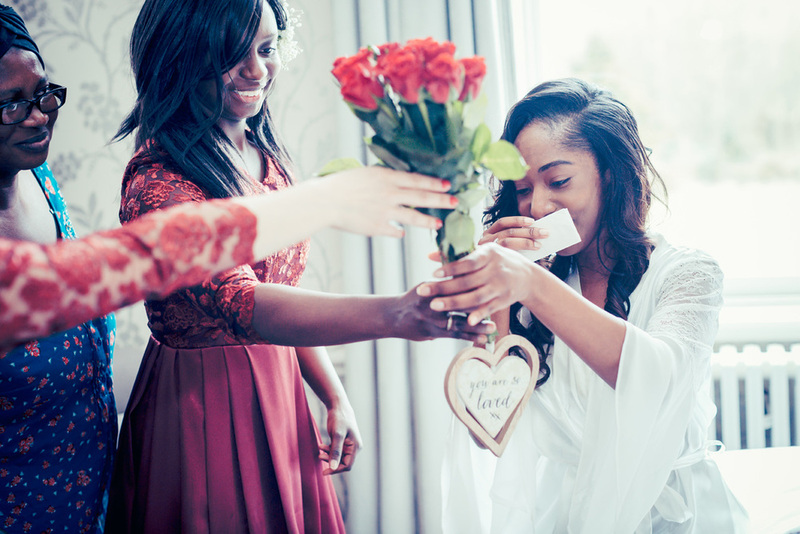 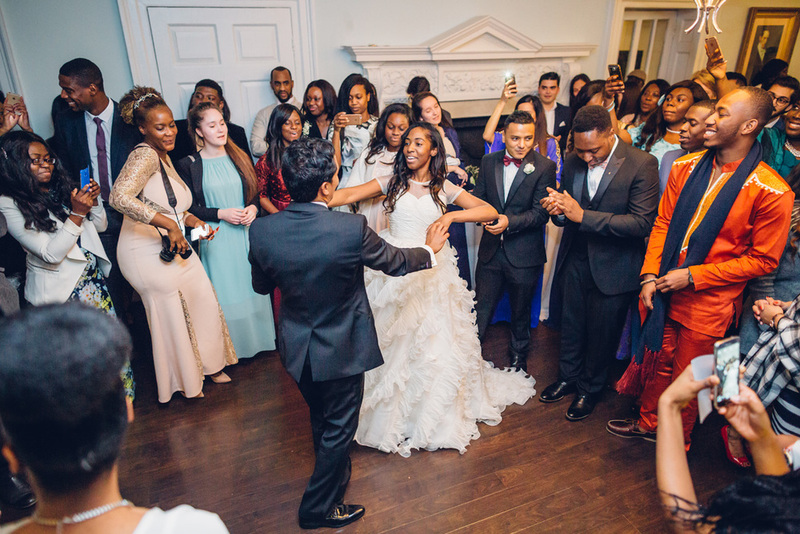 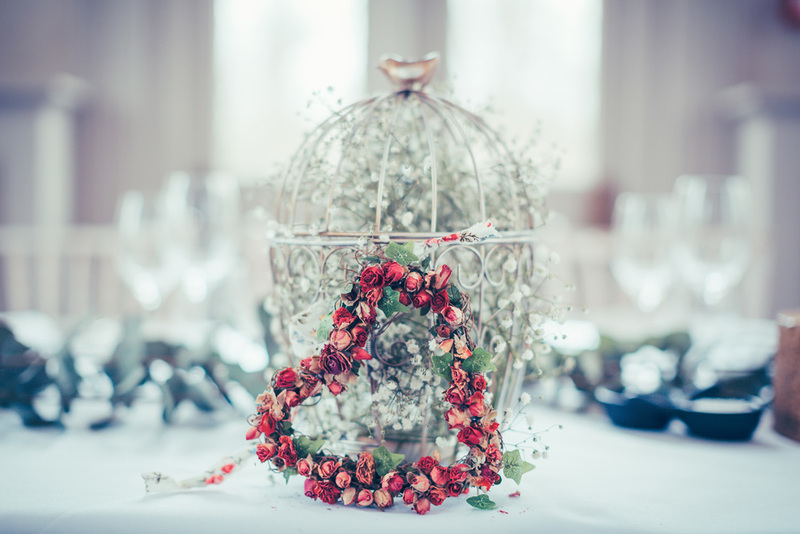 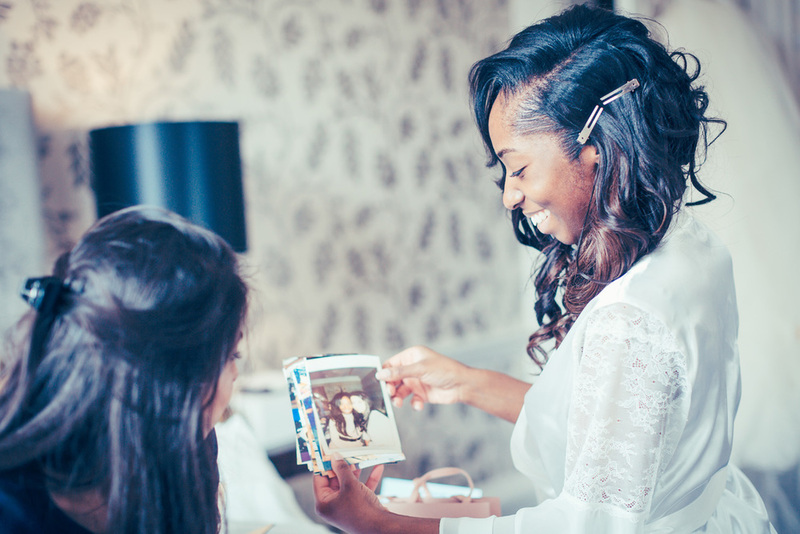 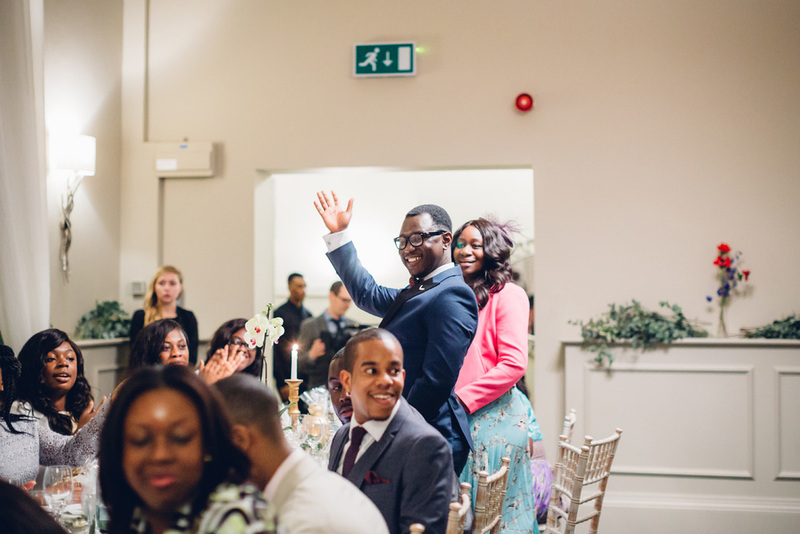 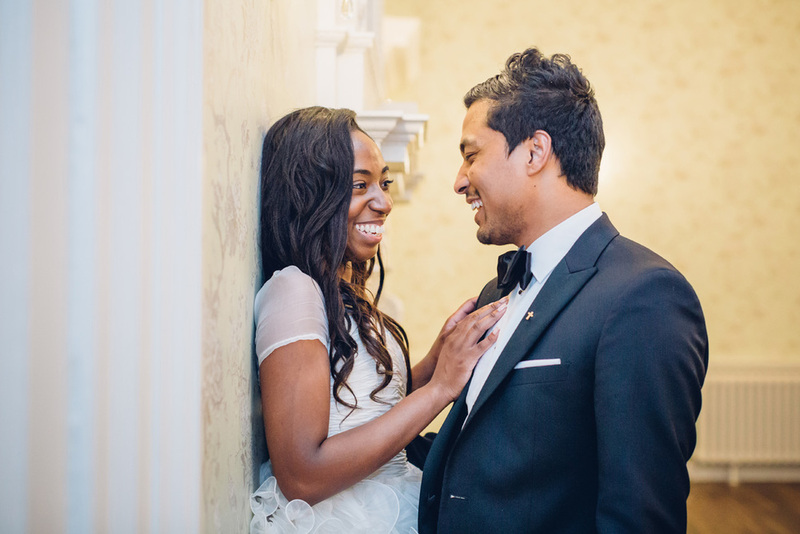 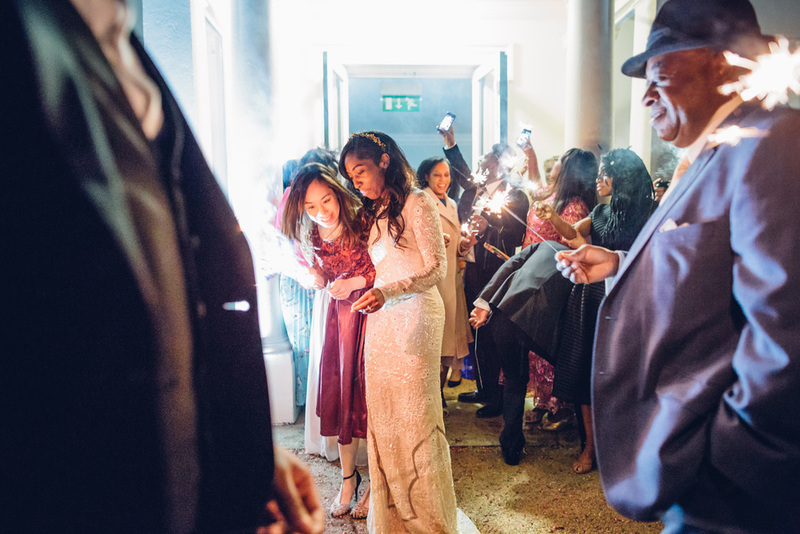 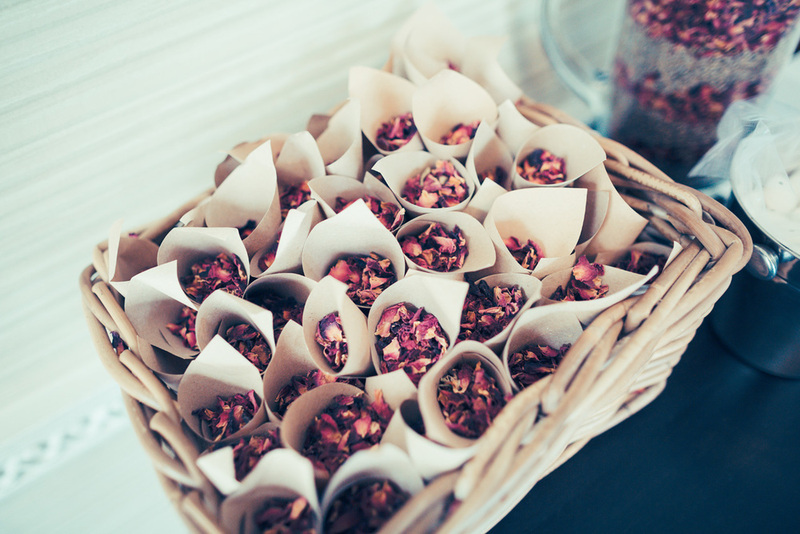 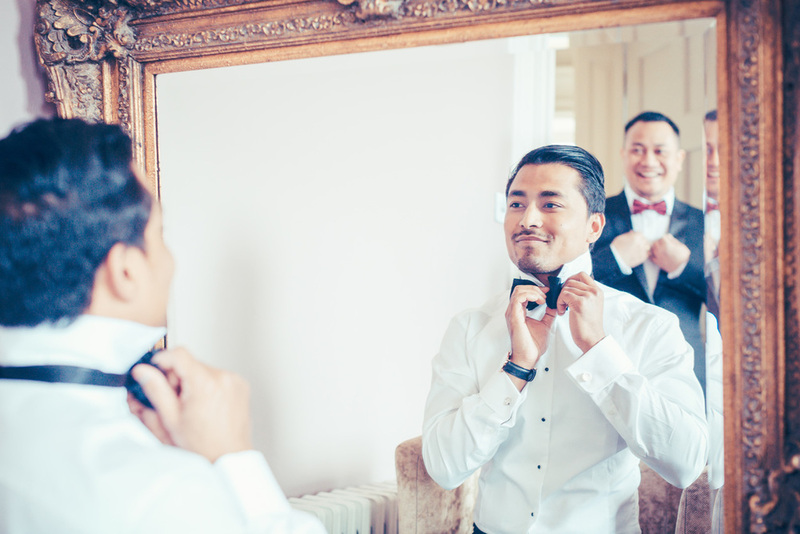 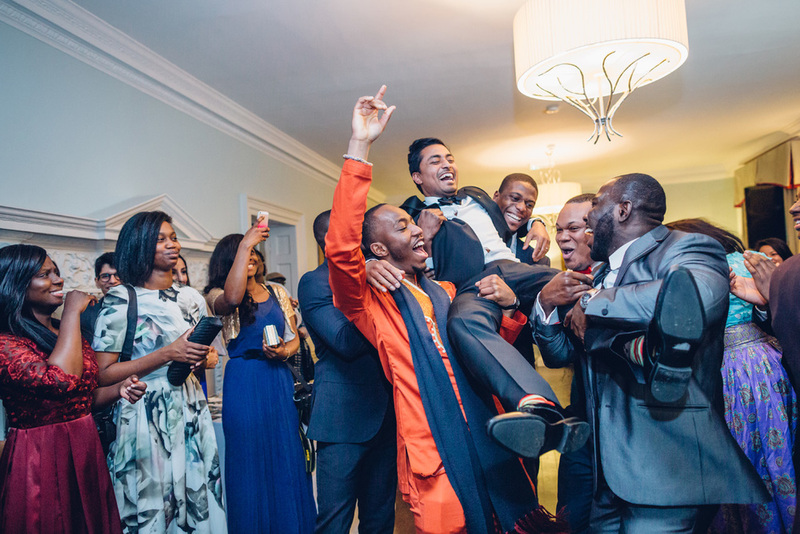 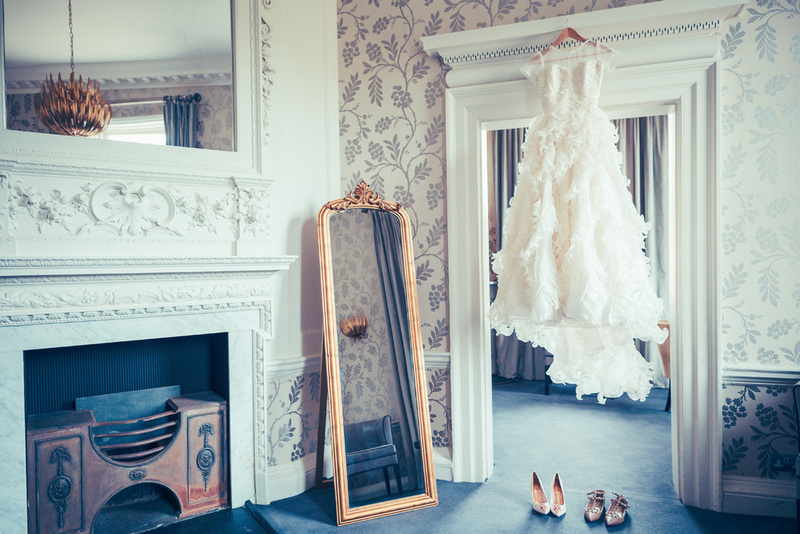 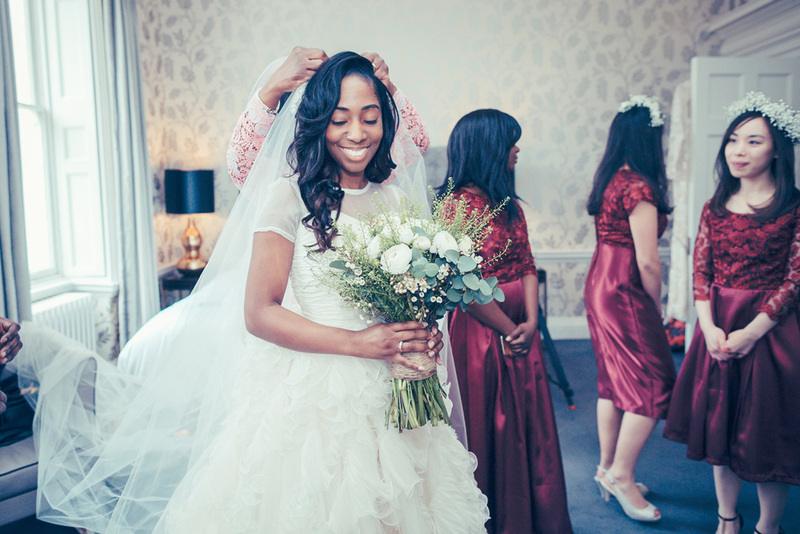 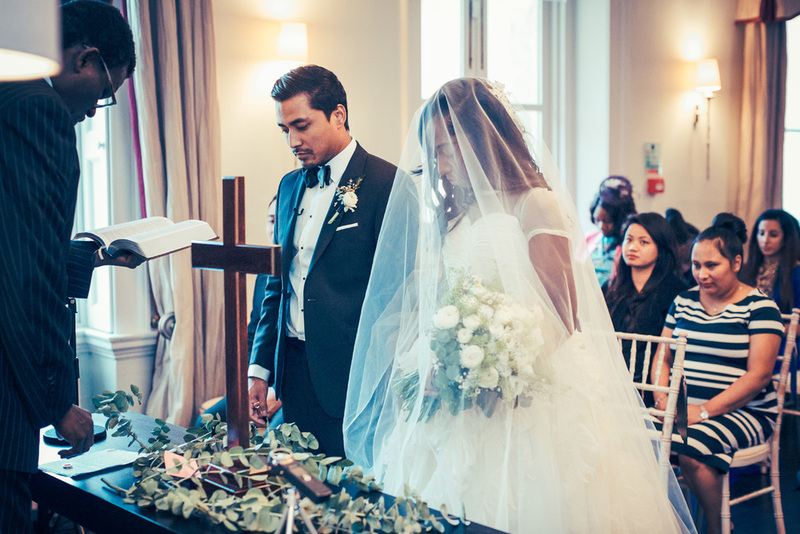 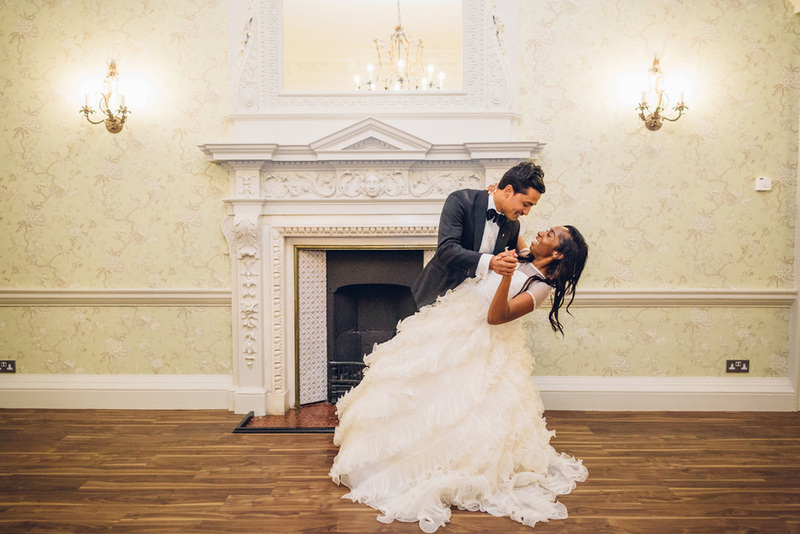 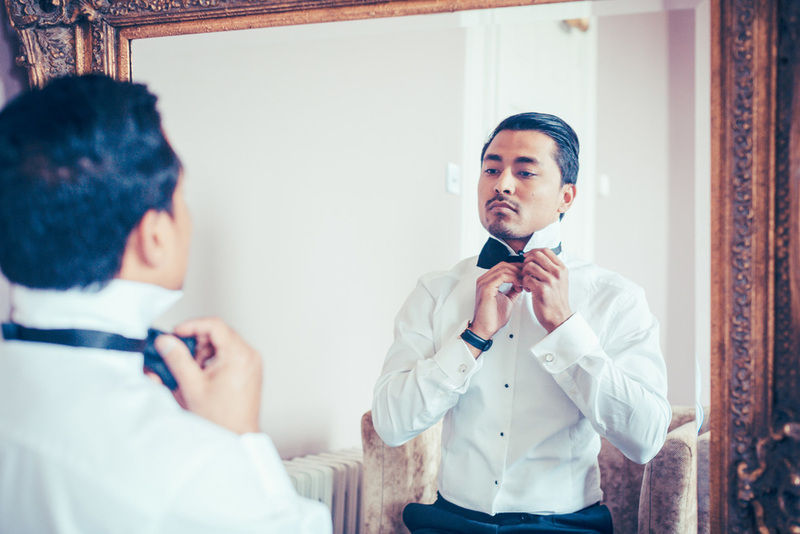 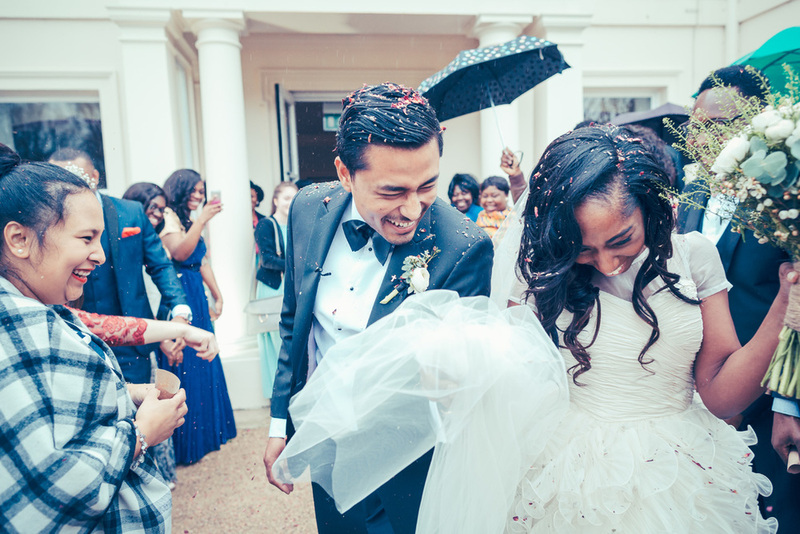 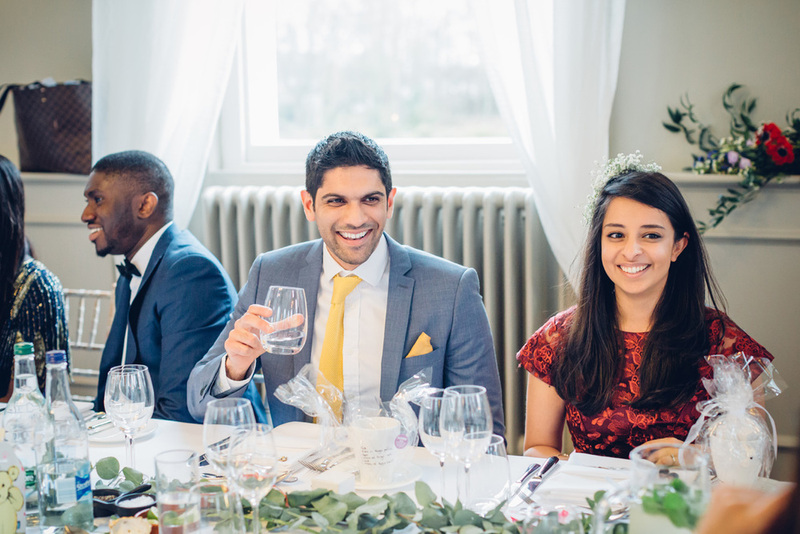 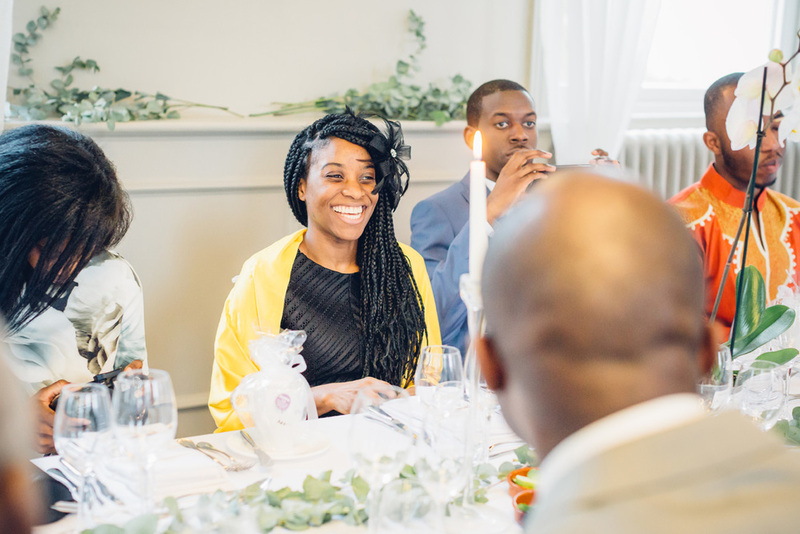 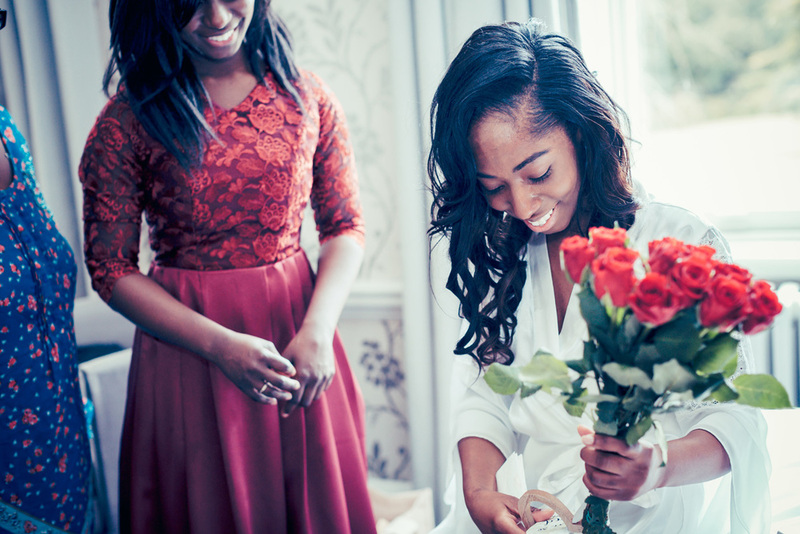 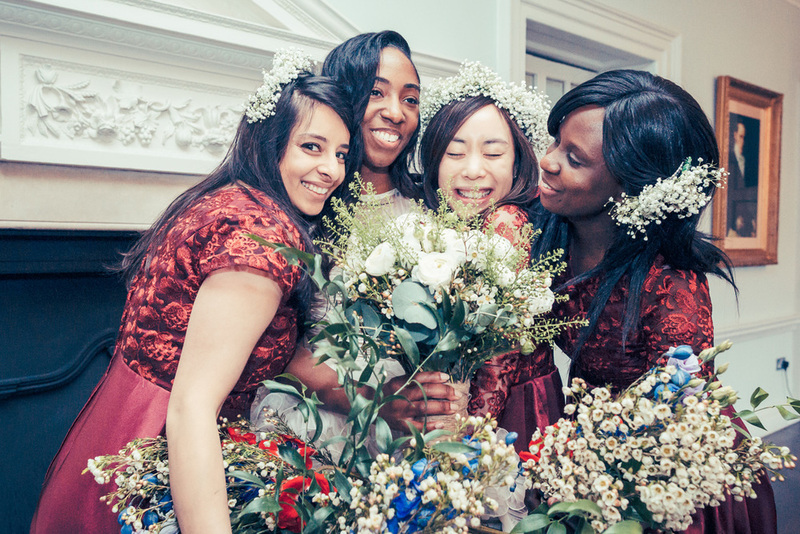 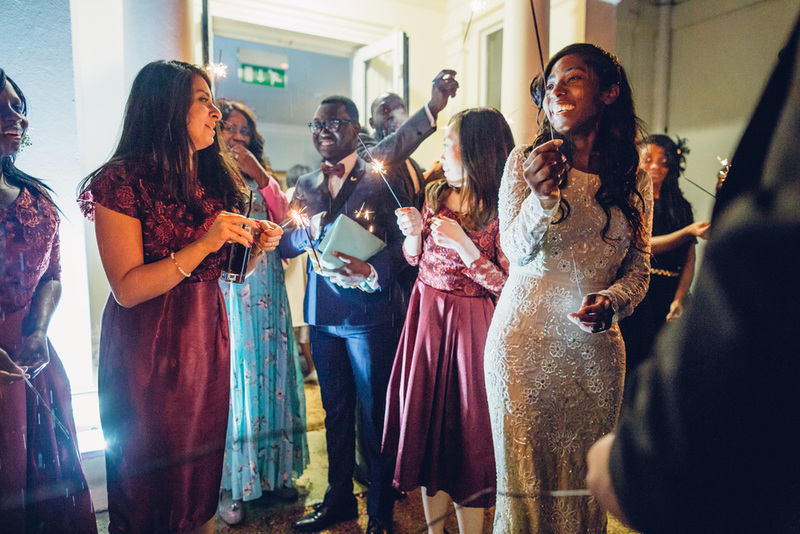 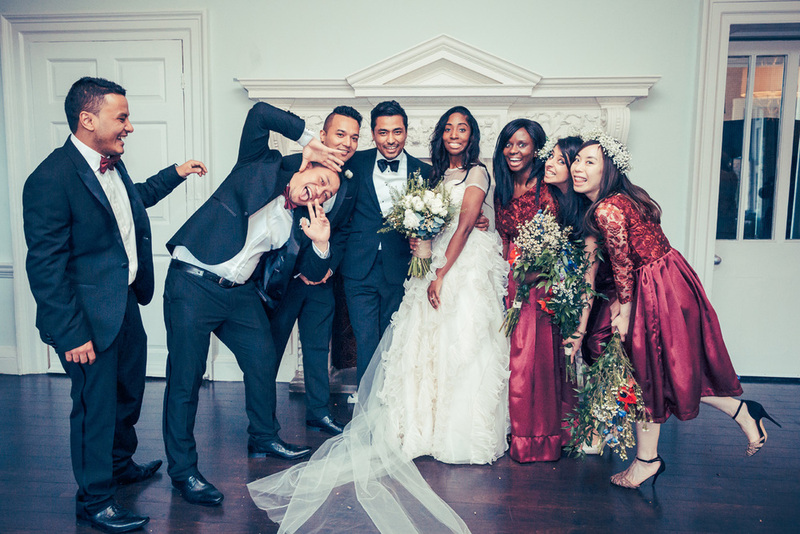 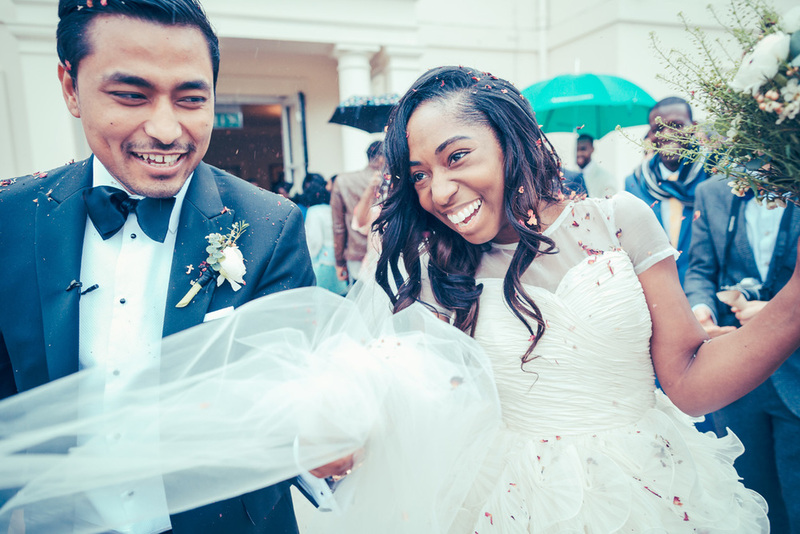 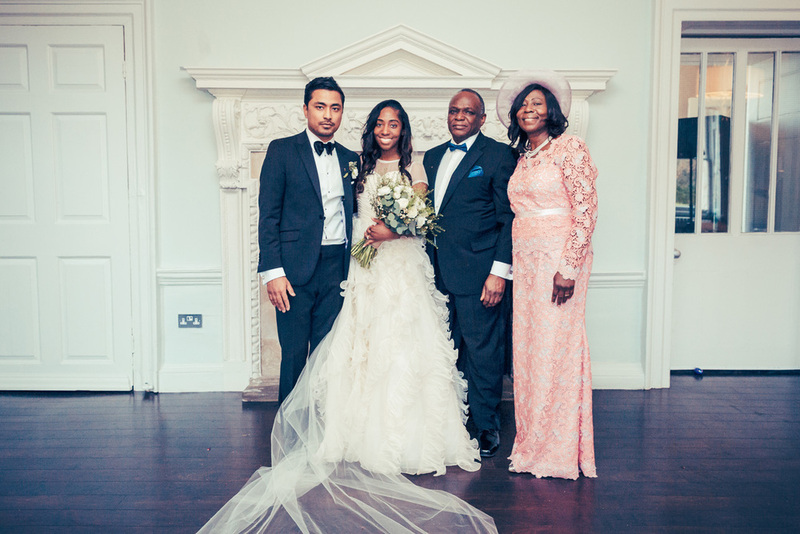 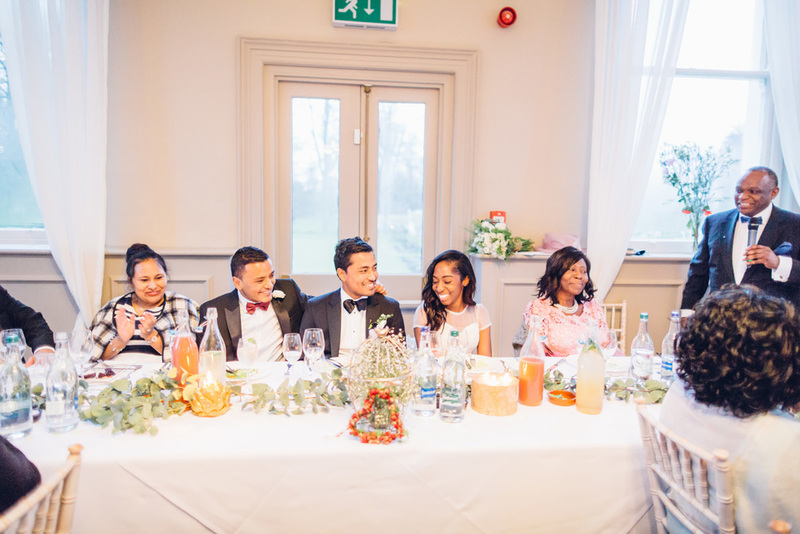 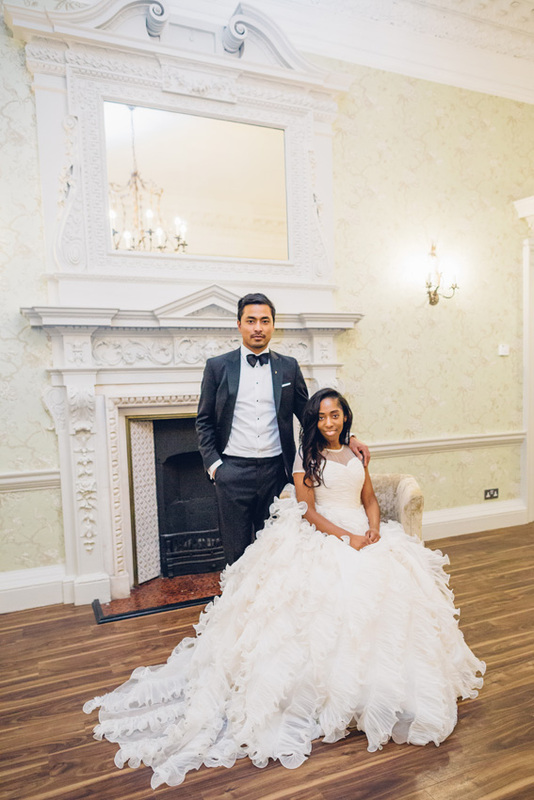 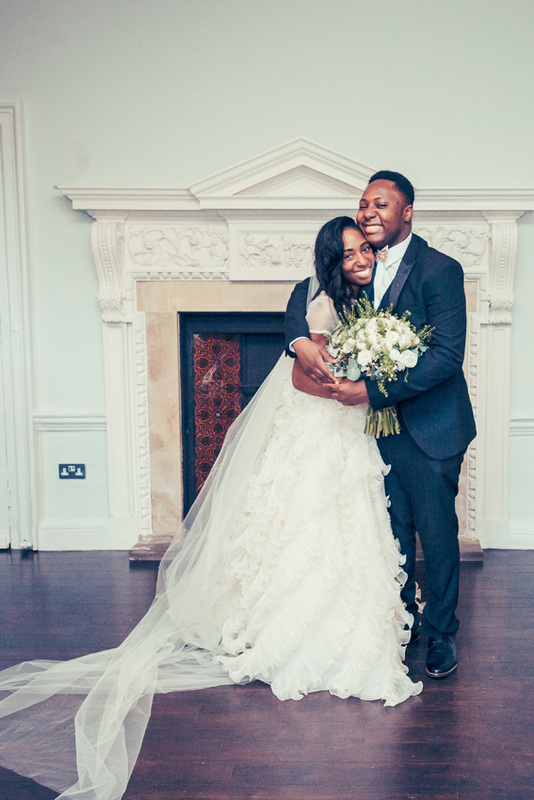 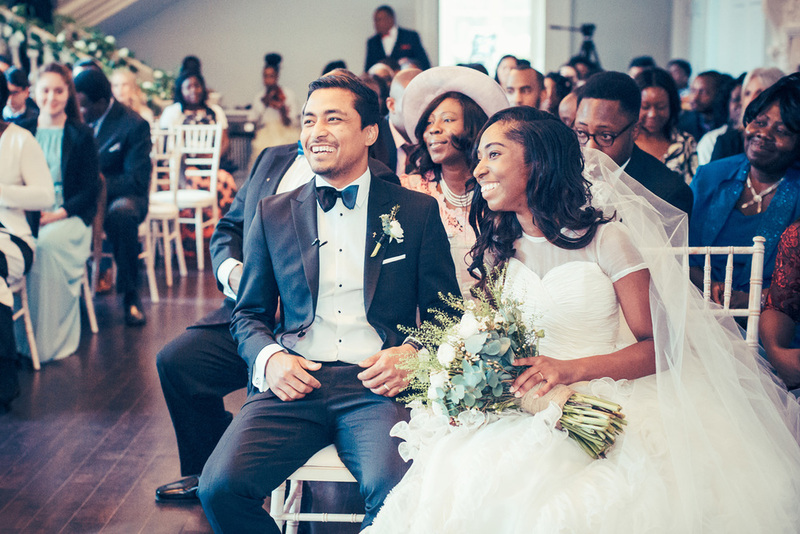 Angela and Praj planned a contemporary wedding at Morden Hall in South London. 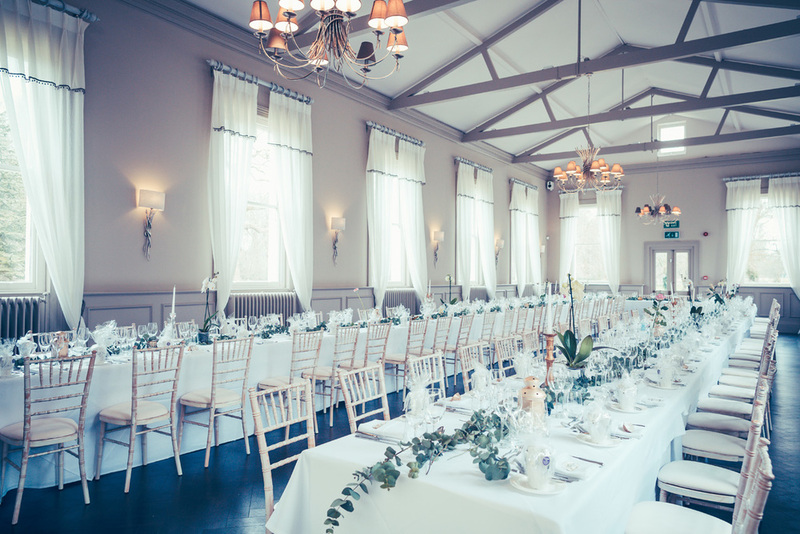 The venue was built in 18th century as a country house. 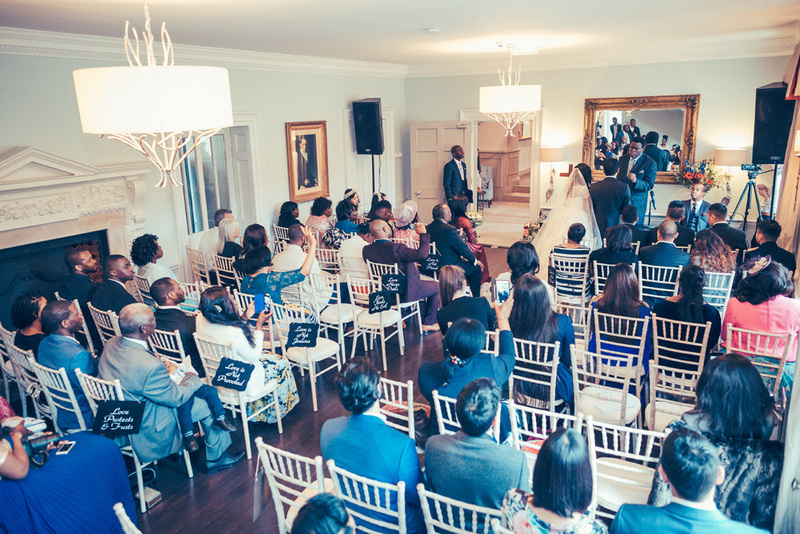 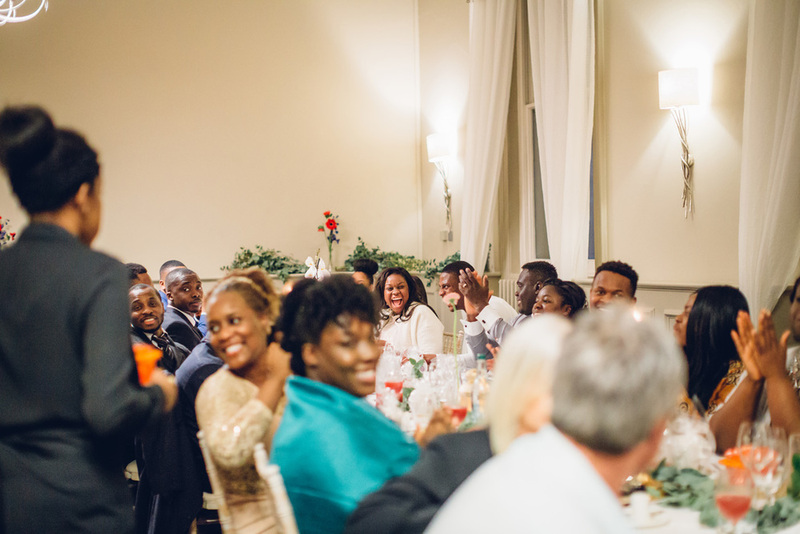 This is a perfect place to host elegant weddings and parties. 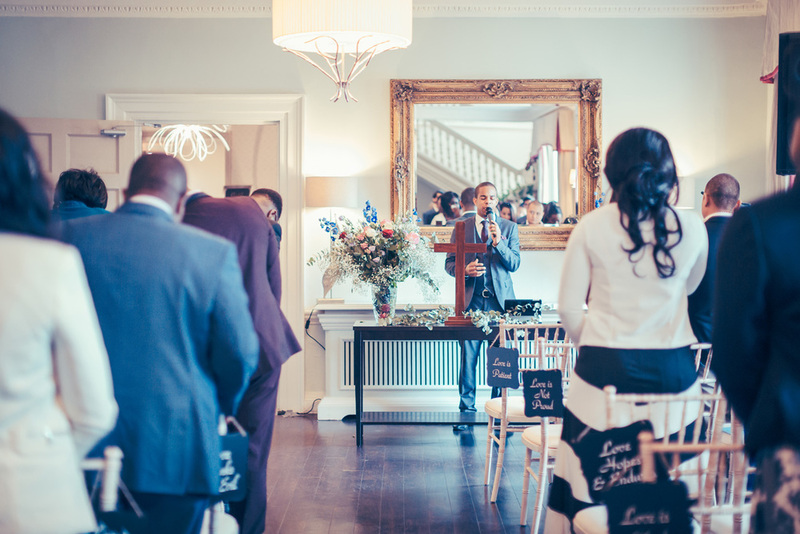 The house was recently redesigned to revival into current days, by creating calming and relaxing environment. 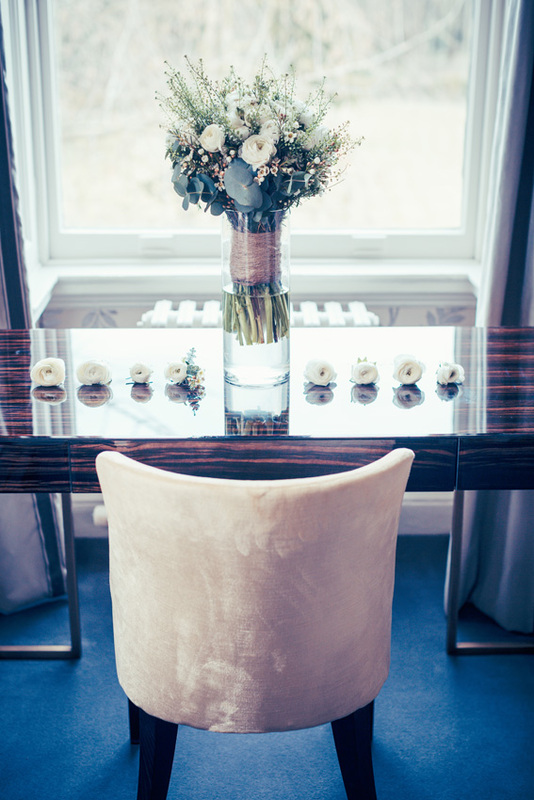 The rooms are inspired by Georgian interior style, Georgian interior is known for their elegance and lightness. 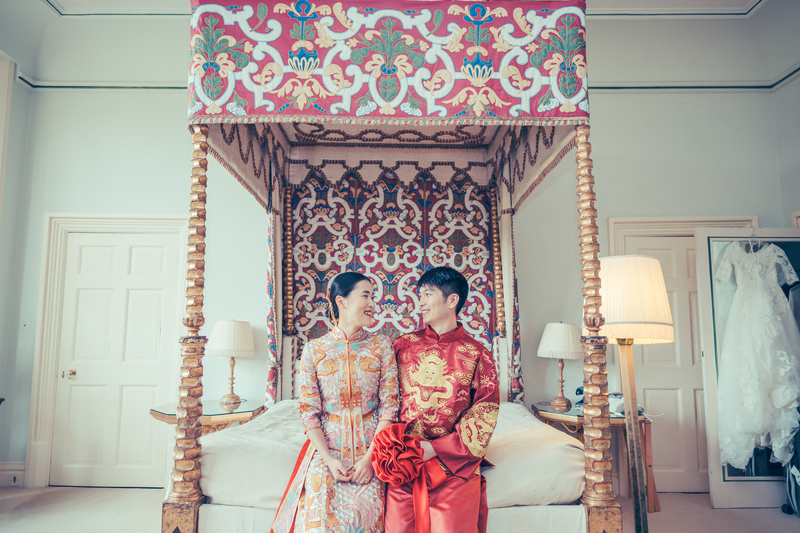 Georgian period covered the years between 1714-1830, at that time King Georges was on the throne for four repetitive years. 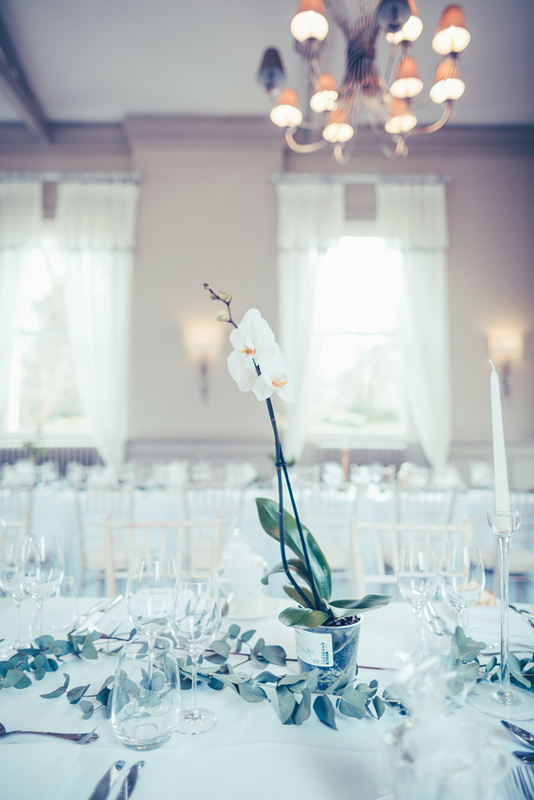 Also the venue is surrounded by stunning gardens, which covers 150 acres on the land. 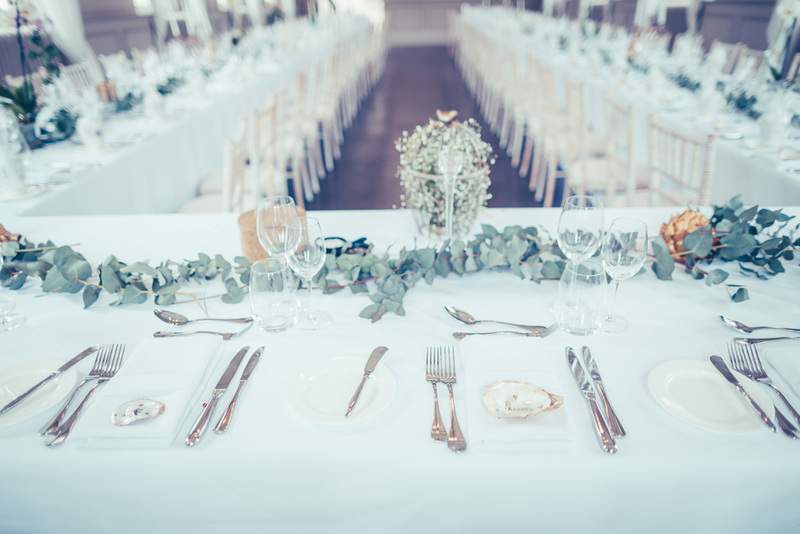 The table decorations pieces were very elegant and unique which contrasted well with the venue. 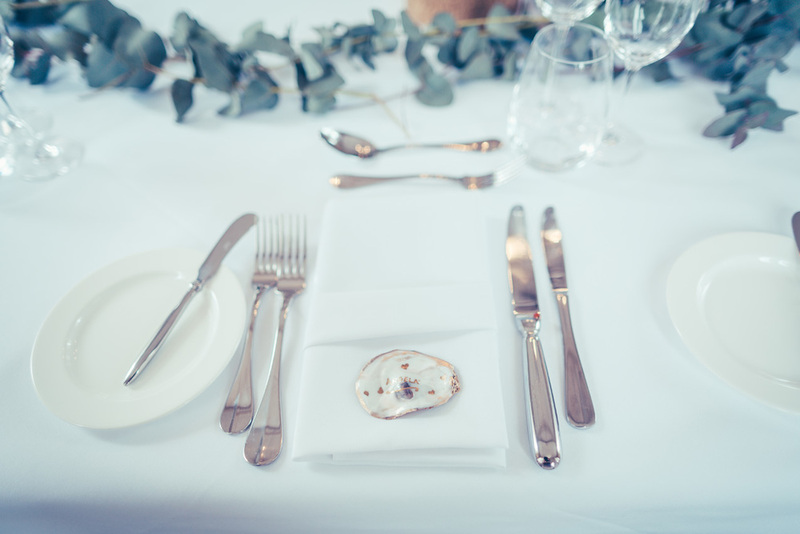 I really like the table setting because it was very detailed, for example the seating nametags were handwritten on an oyster shell with hearts drawn on it. 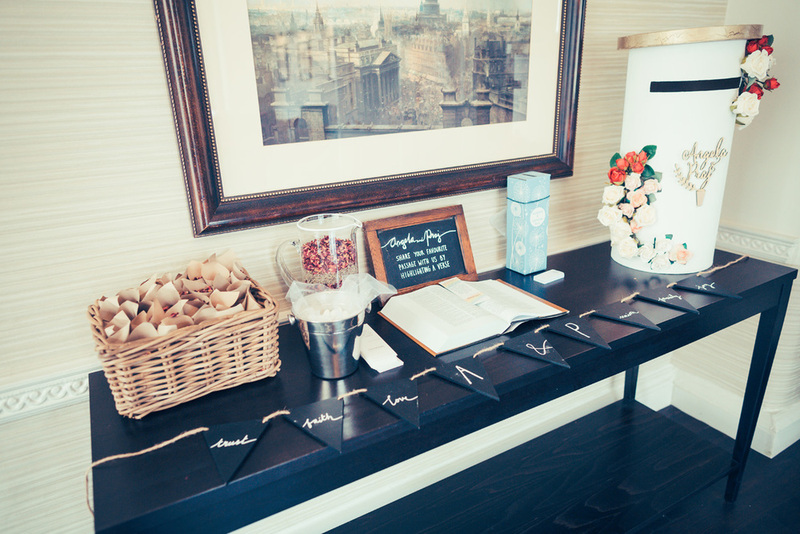 Next to the table setting, there was a cute mug placed as wedding favours for guests to take home. 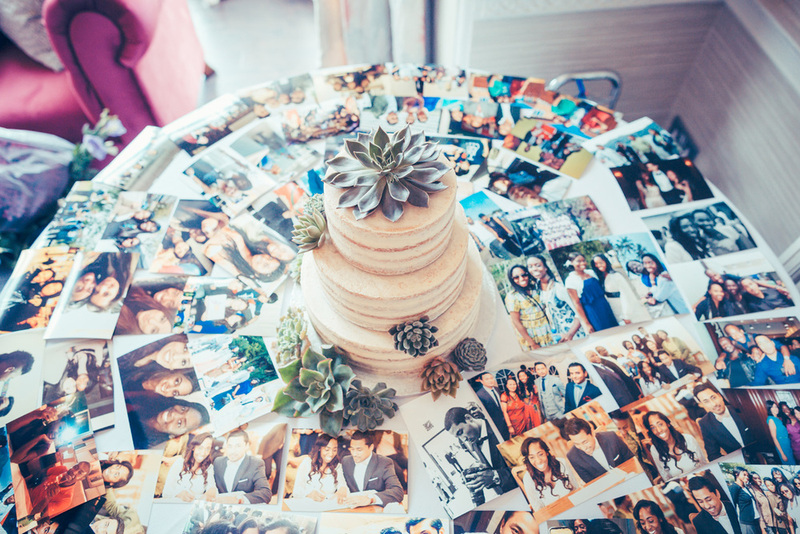 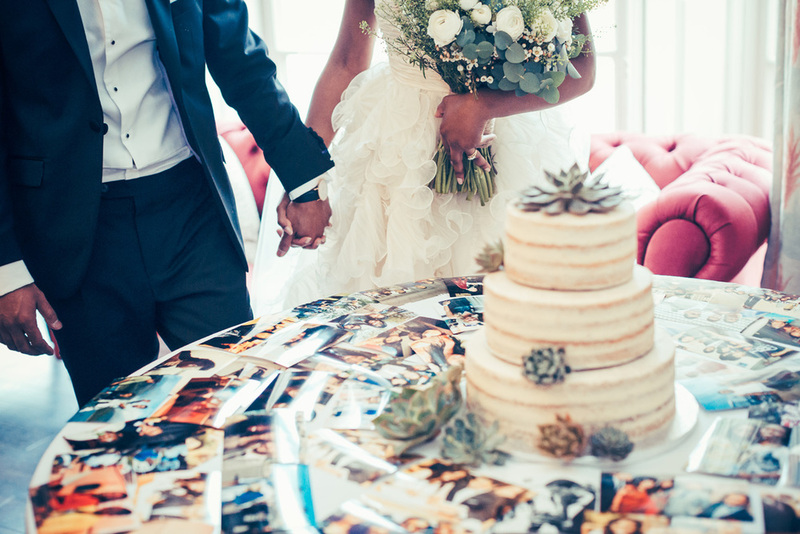 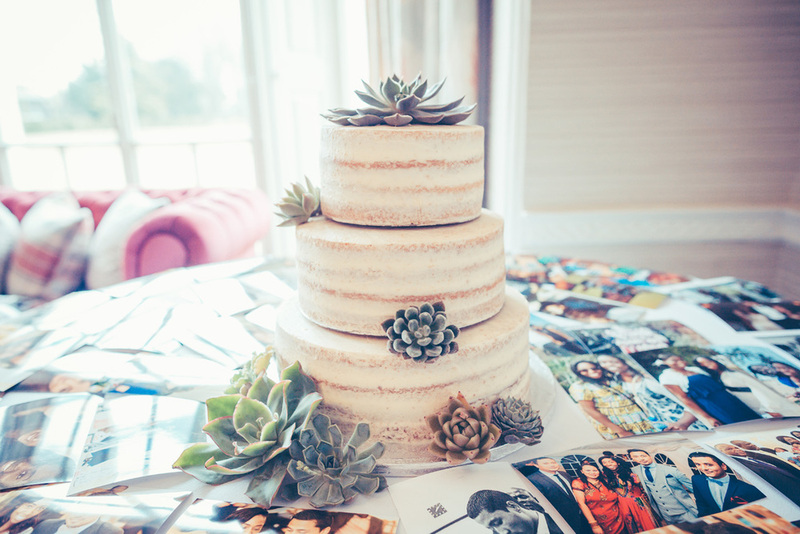 Also the wedding cake was bordered by lots of different photos of families and friends and I love the cake, it was decorated with pretty cacti. 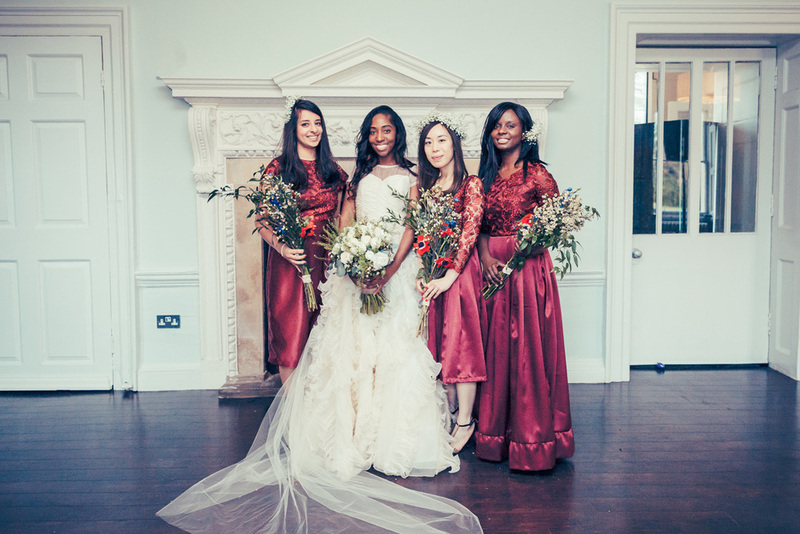 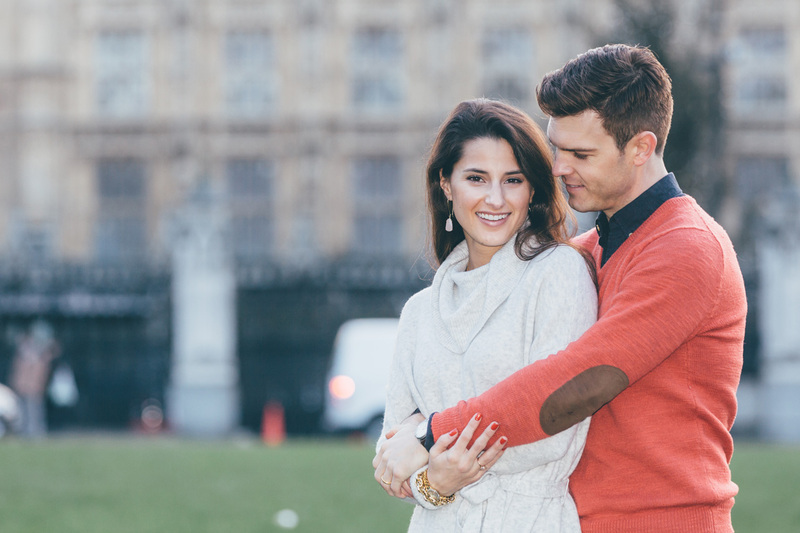 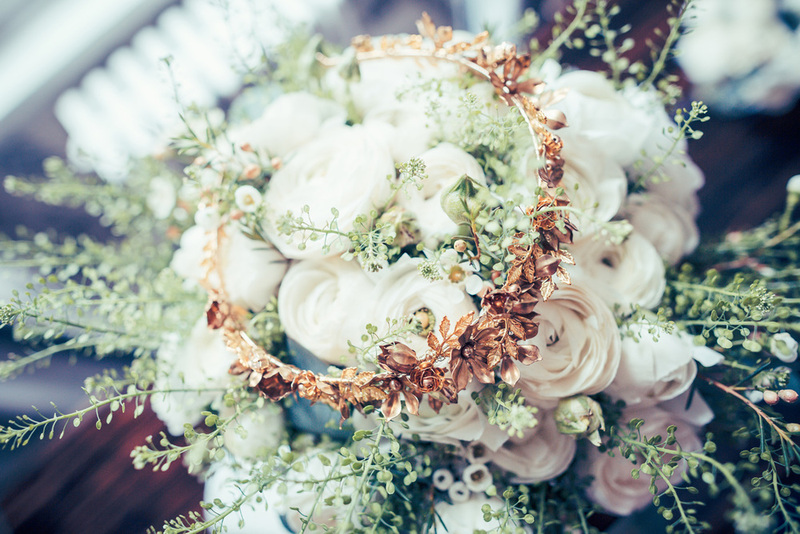 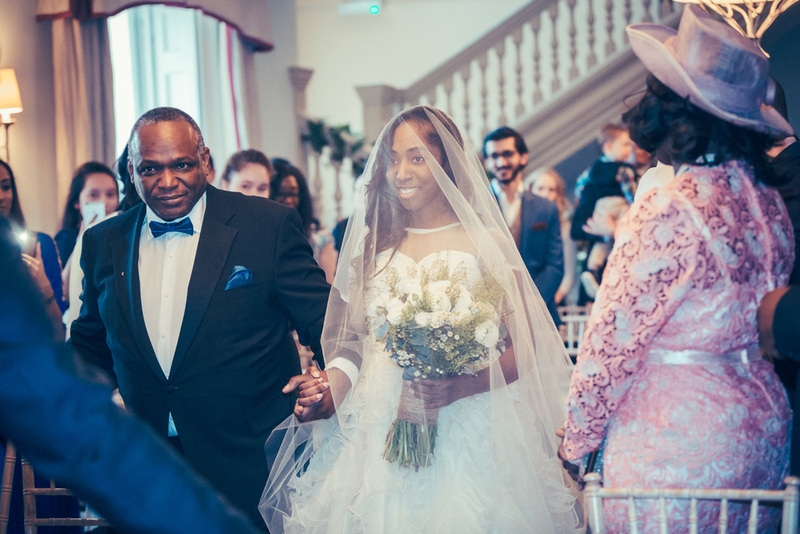 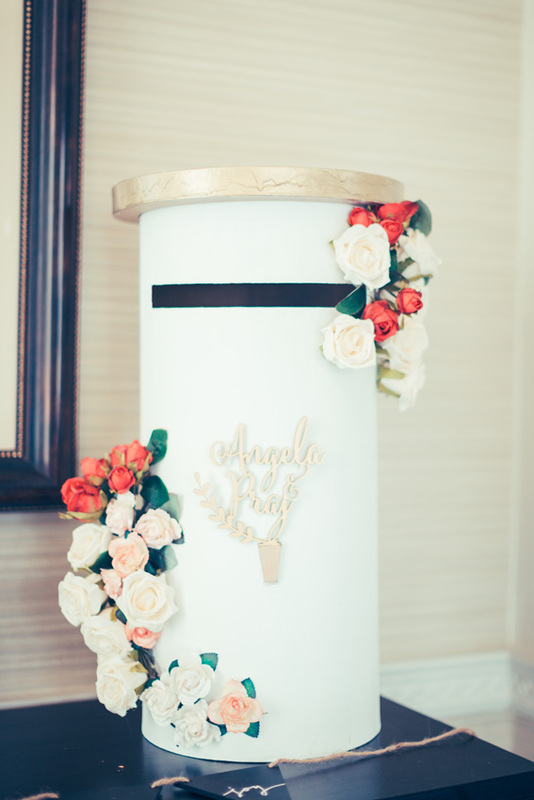 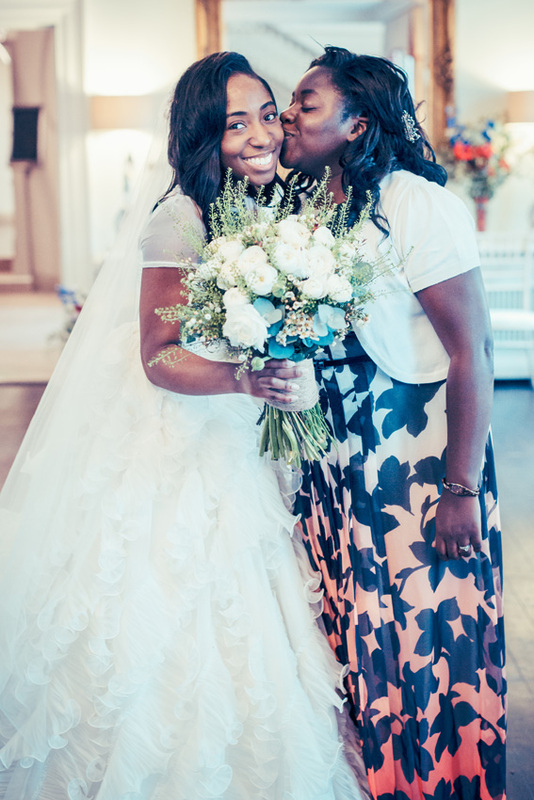 Click here to watch the video for this wedding by Confetti & Silk.